Sometimes you get so tired that any place is perfect for a nap. There is no spot and position that is too uncomfortable for these pets. If you are feeling a little sleepy yourself, these pictures will put you in just the right mood for a snooze, and they can even give you some new ideas on how to get the best naps. Car rides are this puppy’s favorite activity, especially when they do not include an actual activity. 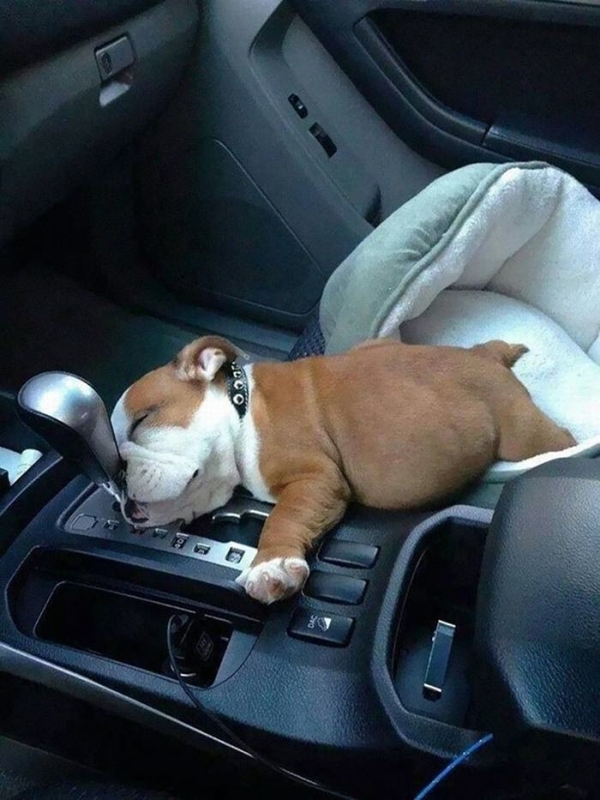 This little pup would fall asleep anywhere, but for him cars are extra comfy. Note to the driver: Avoid holes and bumps. When you are this big it is not easy to get yourself comfortable, especially on such a tiny sofa. 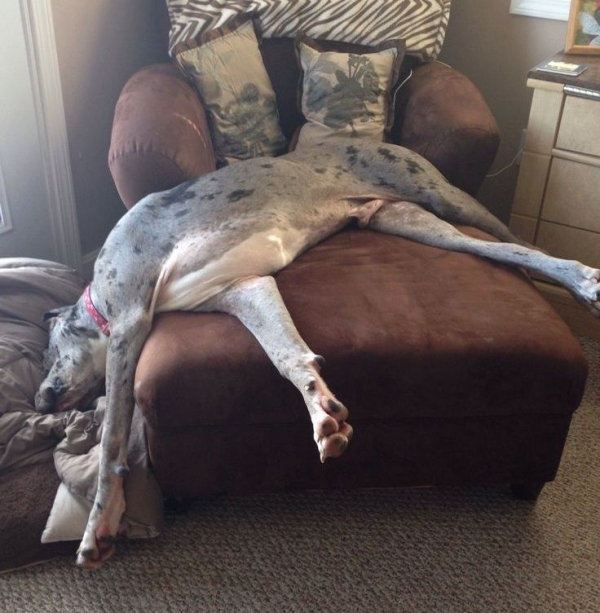 This Dane does not care, as long as nobody told his owner that he fell asleep on the furniture again. 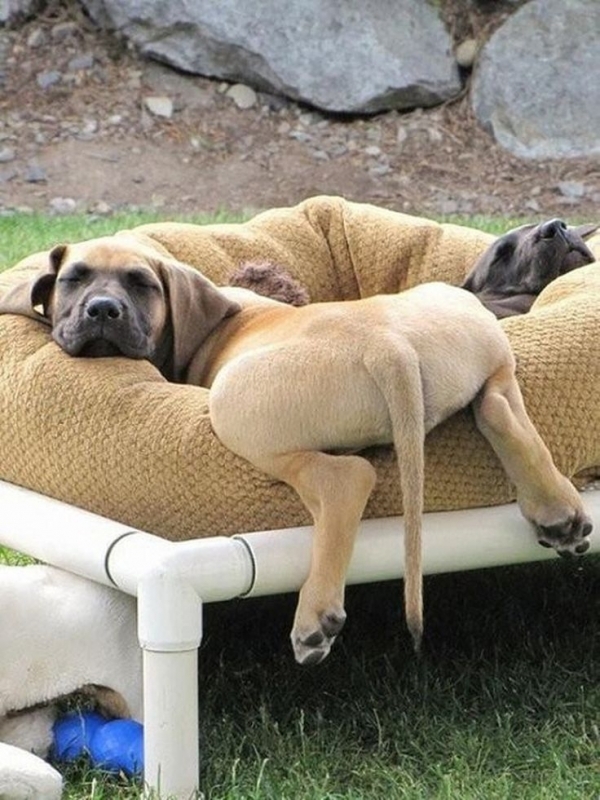 You can tell that this was a long day for these siblings. There is nothing better that taking a nap outside when you get worn out from all the fun in the sun. Sometimes when you have too much to eat you just have to take a nap. 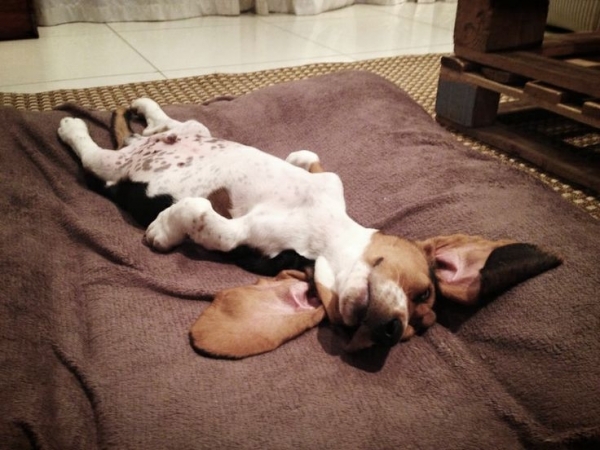 This puppy is getting some sleep after a generous lunch and is already dreaming of dinner. 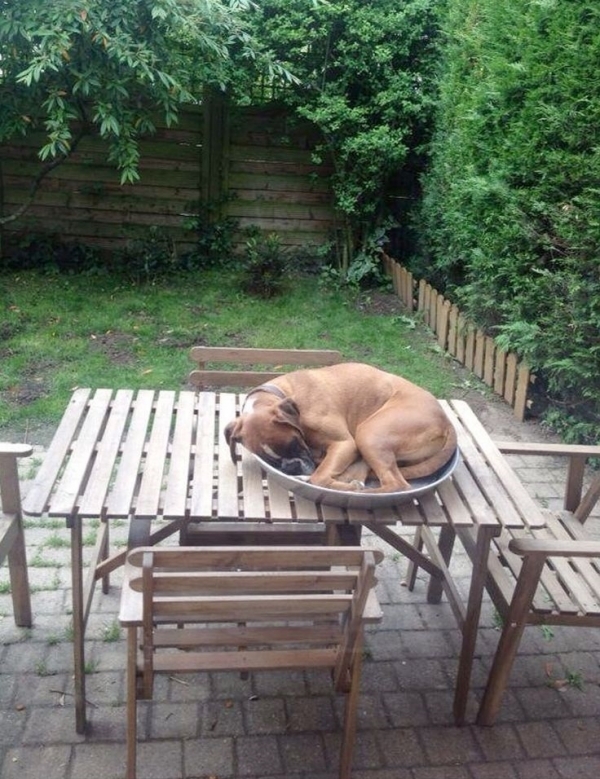 Any place is a dog bed when you’re tired. Although this bed is cold and hard (and a bit too small) this dog does not care. Catching some Z's is what’s important.